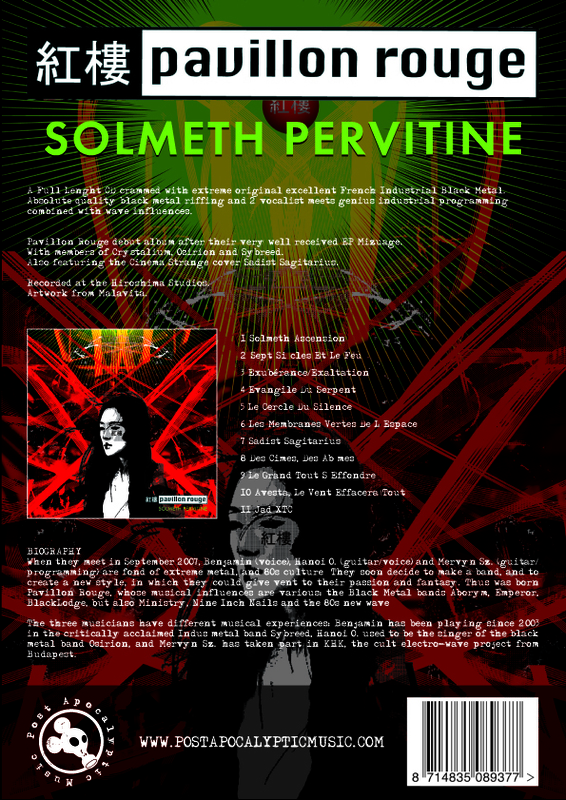 A Full Lenght CD crammed with extreme original excellent French Industrial Black Metal. Absolute quality black metal riffing and 2 vocalistmeets genius industrial programmingcombined with wave influences. Pavillon Rouge debut album after theirvery well received EP Mizuage. With members of Crystalium, Osirion and Sybreed. Also featuring the Cinema Strange cover Sadist Sagitarius.Recorded at the Hiroshima Studios. For fans of Aborym and BlackLodge.